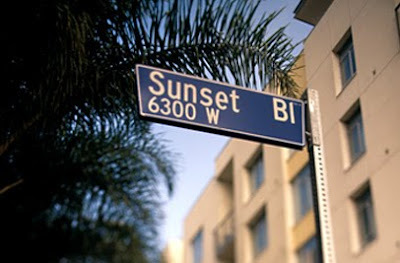 My first literary pub crawl was down Sunset Boulevard on Saturday night. It started at Malo in Silverlake where three authors were slated to read. I was looking forward to hearing Aimee Bender again. She was my first writing instructor, a huge motivator, and introduced me to flash fiction. My husband and I shared spinach enchiladas and carnitas while the room for the reading was being set up on the second floor. The restaurant features a variety of tequila, and I acquired a taste for Tequila Añejo (old) and Tequila Blanco (white). To test my preference I asked the waitress for “something a little more Jose Cuervo.” Definitely go old and white with tequila, and you’ll travel with delight to the next pub. Damn, I’m making my pub crawl sound like an RV convention. It was fun people watching at Malo, especially the tables filled with attractive people who were each consumed by their electronic devices. Between their texting, they occasionally shared whatever they were viewing, but it didn’t seem to spark much conversation. Maybe they texted each other what they might have otherwise said. By the time we got upstairs it was standing room only and I couldn’t hear a thing. It felt good to stretch my legs, and the Tiki Ti was just down the block. It’s an intimate venue (capacity: 55) serving a variety of tropical drinks ­– that’s a lot of rum, folks. It turned out to be a pleasant segue from the tequila. There was a line to get in, and we met a couple who had also been at Malo. She’s a poet and he’s a professor of Chinese history who laughed when I said I hadn’t stood in line for anything since Star Wars. Don’t get it? You’re too young to be reading this blog. Turn off the computer. Go outside and play. We were carded at the door by Mark Buhen, the youngest in a long line of Buhens who have been mixing drinks at this location since 1961. I asked him if Bukowski or Kerouac had frequented the bar, and he said no, but that Drew Barrymore popped in now and again. There are only twelve stools at the bar, and we managed to nab one, but then this huge guy with a gruff voice said I’d taken his stool. We had a little scene and that’s exactly what it was since he used the same line on at least two other hapless victims after us. Our drinks were delicious, so good that the cigar smoking lady at the end of the bar didn’t bother me a bit. Let me just say ­– rum slips up on you, in this case in a very mellow and fun way. We made it to our next stop: The Good Luck Bar. This place was loaded with groups taking cell phone pictures of each other. I spotted two men from the Tiki Ti who may have been twins, possibly serial killer twins. Don’t get me wrong, there was nothing twitchy about their all-American faces, except they looked so innocent, as if they expected nothing from the night. That’s a sure giveaway to darker urges. When a long curving booth cleared, my husband headed for it and I tapped the twins on the back and asked if they’d like to join us. Alas, a huge crowd swarmed the booth, and the twin’s predilections and idiosyncrasies will remain secret. We lucked out and found a room with the kind of low lounging furniture that encourages misbehavior. I switched to gin & tonic. Our cocktail waitress wore outrageous heels and a very short skirt. She had a choice between bending over to take our orders or crouching down. You have to have good knees for the latter. I did a one night stint as a cocktail waitress in college, but gave it up for the coat check room. The tips were decent, and I could daydream without hazard. We didn’t do much people watching at the Good Luck Bar, but concentrated on each other. Our next stop was the 4100 Bar, but it was a longer schlep, and we opted out for the convenience of a taxi home. It was delivering passengers to the Flamenco Bar, and nabbing it was opportune. Our drinking was over, but we continued with the night. I want to hear more about the twins.